Life Is Strange 2 – Episode 1 officially releases September 27 2018 on Xbox One, PlayStation 4 and PC. The next sequel in the Life Is Strange franchise will be a 5 part episodic story. 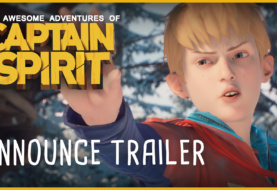 The reveal trailer can be found below also don’t forget to download The Awesome Adventures of Captain Spirit, June 26 2018, that links to Life Is Strange 2. 1 Comment on "Life Is Strange 2 Release Date – Episode 1 – September 27 2018"
Nice write up, Just one more month and it'll be there.